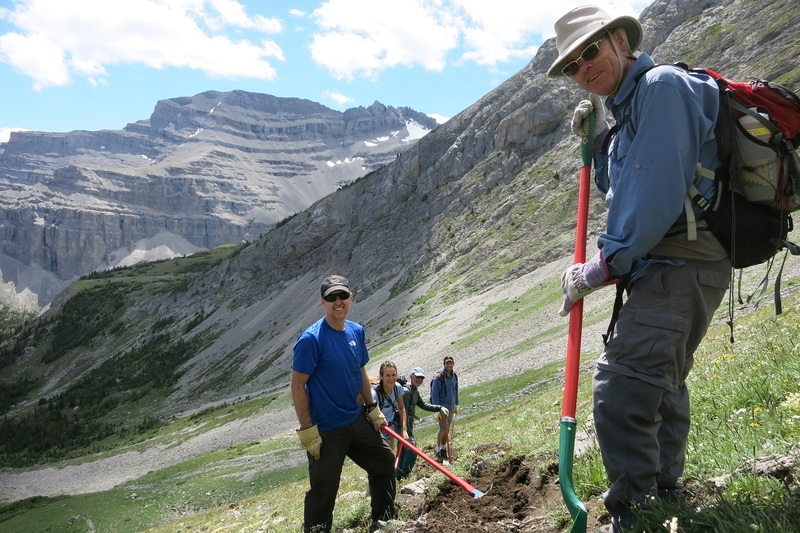 From July 24 to 27, the GDTA Volunteer Trail Crew performed much needed trail maintenance in the Hidden Creek area. We repaired damage to the trail caused by last year’s floods, re-establishing the trail from Tornado Pass to Hidden Creek. We repaired and built trail tread, removed brush and fallen trees, blazed and marked the trail, and built two bridges over South Hidden Creek. Thanks to our sponsors: The North Face, MEC, Stihl and Cervus Equipment. 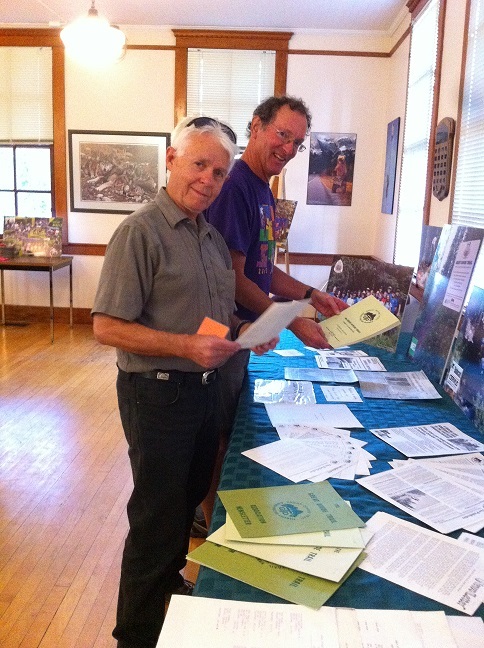 And a special thanks to all of our volunteers! Adrian Jonker, Andrew Wade, Cliona Curran, Dave Higgins, Dave Hockey, Doug Borthwick, Geoff Ellwand, Jean-Francois Cianci, Jocelyn Wood, Kathy Plachta, Ken Payne, Leslie Nicholls, Margaret Saul, Marcel Durand, Melody Switzer, Millie Kuyer, Neil Morrison, Robert Armstrong, Wayne Marshall and Wendy Ryan. 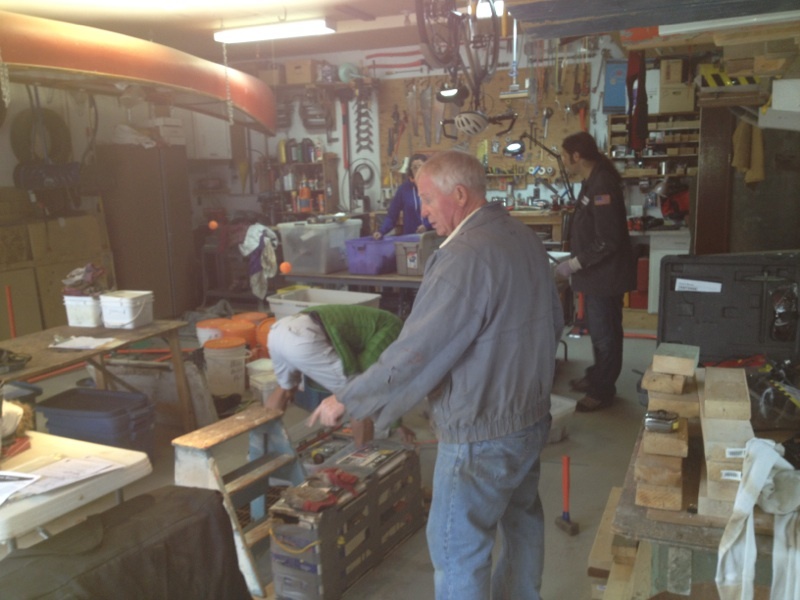 On a recent Saturday, a small group of volunteers showed up at Wayne’s place to clean, fold, cut, count, take apart, put together, sharpen, and finally pack most of the GDTA equipment in his garage. An inventory was developed to help determine what equipment is needed in the future. The operation wasn’t designed just to help the GDTA get ready for next year. It was more than that. Wayne wants to pass on knowledge about how to maintain and assemble and use all our equipment. He wants to be sure as many people as possible can keep our stoves and camping equipment (like the biffy which he plans to modify) as well as the augers and axes and other tools working and ready to go. A big GDTA thank you to Ellen who provided a terrific lunch for the workers! Meeting on September 16th in Calgary. A new by-law was passed, the annual membership fee was set ($30) and the GDTA Annual Financial Statement and Annual Report were presented. Congratulations to Geoff Ellwand and Jocelyn Wood for their successful nominations as new GDTA Directors, welcome aboard! And thanks to the Alberta Wilderness Association for letting us use their office for our AGM! The GDTA is now monitoring trail and road conditions along the Great Divide and you can help! If you hiked the GDT in 2014, you can provide your own trail updates through our website. The GDTA website offers many other trip-planning resources including maps, GPS and Google Earth coordinates, re-supply information and advice from other hikers who have logged many miles on the trail itself. Check it out! And don’t forget that we are now accepting paid memberships to the GDTA. $30 Annual GDTA Membership gives you up to date information and trip‐planning resources for the Great Divide Trail; voting status at meetings of members of the GDTA; eligibility to serve on the GDTA Board of Directors; invitations to participate in trail classes and volunteer trail projects; and the knowledge that you are helping to protect and preserve the Great Divide Trail. See our website for more information on how to become a member. Winter has arrived in the Rocky Mountains! Snow has fallen on all of the GDT with significant accumulation at higher elevations. Expect snowy, slippery, wet or muddy trail conditions. Snow cleats or snowshoes are recommended. Temperatures are below freezing so be prepared for all weather conditions when travelling into the backcountry. TEMPORARY TRAIL CLOSURE (November 1, 2014 to February 28, 2015) – Jasper National Park: The GDT is closed from Four Point Campground to Poboktan Creek to prevent trails from facilitating an unnatural level of predator access to threatened woodland caribou. TRAIL CLOSURE – Elk Lakes Provincial Park: Lower Elk Lakes trail beyond the campground (between Lower and Upper Lakes) and the trail from Upper Elk Lakes to West Elk Pass remain closed due to washed out bridges and sections of trail. DETOUR: Use Elkan Creek trail from the parking lot to Elk Pass (4km). ACCESS TRAIL CLOSURE – Kootenay National Park: Tumbling Creek Trail remains closed. NOTICES – Cairnes Creek: The bridge is washed out making this a potentially dangerous ford. It is recommended to cross early in the morning when glacial melt is lowest. The Lambe Creek bridge is badly damaged so it is recommended to ford the creek further downstream and avoid using the broken bridge. The Maligne Pass trail in Jasper National Park has been decommissioned and is in poor shape. 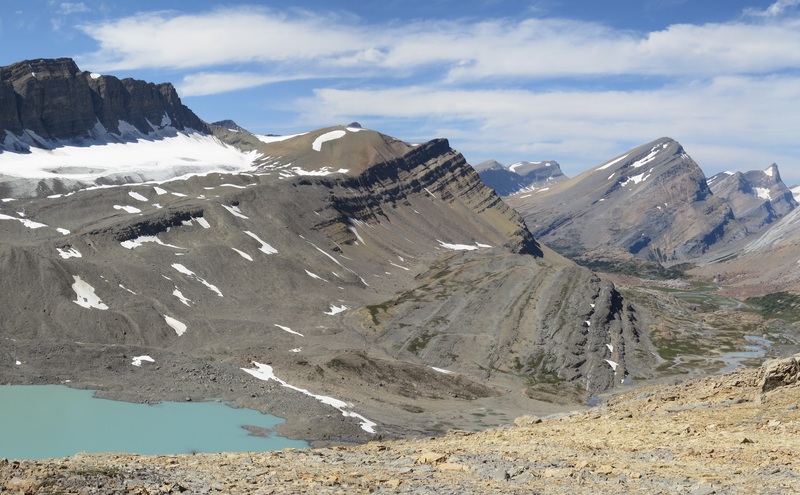 The trail from Poboktan Creek to Maligne Lake (approx 42 km) is no longer being maintained by Parks Canada so expect deteriorating and overgrown trail conditions; long pants are recommended. The Maligne River bridge has been removed but the river can be easily forded (knee deep in mid-summer). Most other bridges are still in place. The Aldridge Creek Trail between Fording River Pass and the Kananaskis Power Line is in very poor shape. The upper part of the trail is very overgrown. The creek has washed away much of the lower section of trail but it is still passable by following the rocky banks of the creek. Winter conditions exist on most mountain highways and roads. Roads can be snowy and icy so check for the latest conditions before you travel and carry chains and/or winter tires. For more information, check out Alberta 511 and Drive BC. Construction continues on the Forestry Trunk Road 940, from the Junction highway 532 to the Junction highway 541. Outdoor enthusiasts may still access the Forestry Trunk Road during construction but through traffic will not be permitted as the entire roadway must be excavated. Barricades will be placed at convenient turnaround spots. Road 532 between Highway 22 and Road 940 is not maintained during the winter. The Blaeberry FSR is closed to non-industrial traffic at 11.5 km and washed out completely at 19.1 km. From this point, you can still travel the additional 22 km on foot or bike to the David Thompson Heritage Trailhead (on the GDT) near the Cairnes Creek Recreation site, which is deteriorated and partially flooded. The GDTA would like to recognize the work of Jean-François Cianci for his successful application to the Suncor Energy Foundation. The GDTA received the Suncor Energy Foundation Volunteering Grant for $750 that will go towards funding future volunteer trail crew projects. Thanks Jean-François!